Born in the city of Benin, Dr. Ebi Eno-Ibanga had her Primary Education in the Edo State capital, as well as in Lagos State. She had her secondary education at the Federal Government College, Ijanikin and Government College Ojo Badagary, Lagos where she obtained her West African School Certificate. She later proceeded to the then Bendel State University, Ekpoma for her University education and bagged a Bachelor of Education degree in French. 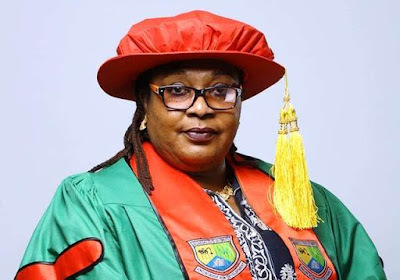 In her quest for further education, Dr. Ebi registered for Post-Graduate studies in the Benue State University where she obtained her Masters Degree in Educational Management and PhD in Educational Administration and planning from the Nasarawa State University in 2012. She is a detribalized Nigerian and an Akwa Ibomite of no mean repute. She is an advocate of peaceful coexistence. She is a Christian, a youth counsellor and a passionate member of Winners Chapel (Living Faith Church). She has as her hobby, reading of novels, creative works and listening to good music. She is happily married to Prof. Eno James Ibanga and they are blessed with three (3) lovely and well grown up children. She is a career University Administrator with a highly commendable record of steady and impactful service. Dr. Ebi Eno-Ibanga has grown through the ranks from an Administrative Assistant and today, she is the Human Resource (HR) Director of Akwa Ibom State University. Click here to meet the Deputy Vice Chancellor (Academic), Akwa Ibom State University. 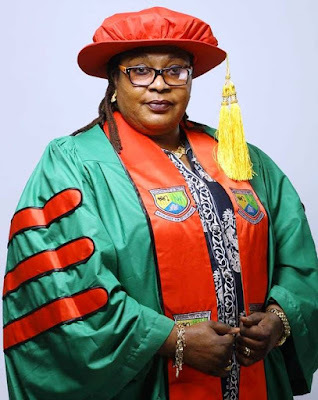 Click here to meet the Dean, Faculty of Natural and Applied Science - Akwa Ibom State University. Click here to meet the Director, Akwa Ibom State University Commercial Farms.